POMEROY — The Meigs Performing Arts Center (MPAC) Foundation will be hosting a dining and dancing event on Nov. 10 as a fundraiser for the foundation. 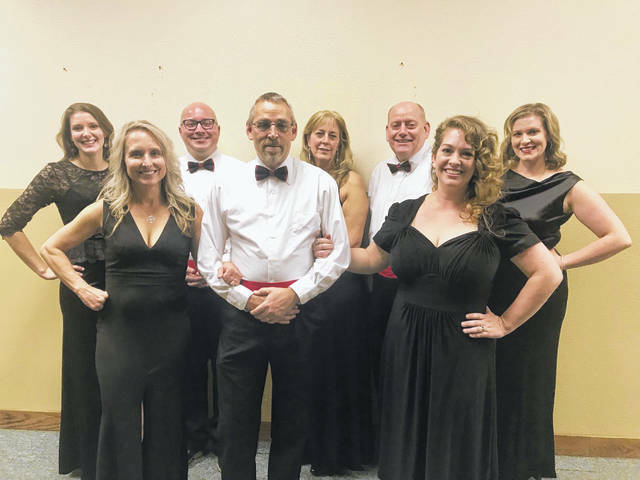 MPAC will be presenting an evening of dining and dancing to music from the Big Band Era on Nov. 10 at the Farmer’s Bank Community Room in Pomeroy. A full course dinner will be served by the Meigs High School Drama Department at 6:30 p.m. followed by an evening of big band music performed by talented local singers, with dancing. Those performing include Seth Argabright, Margaret Evans, Jessica Holliday, Dave Hopkins, Mike Kennedy, Amy Perrin, Renee Stewart and Anna Wears. Tickets are on sale at King’s Ace Hardware 740-992-5020 and Clark’s Jewelery 740-992-2054 and online at www.mpacfoundation.org until Nov. 2 at 5 p.m. For more information call 740-514-0358. Founded earlier this year, MPAC’s mission is to further the economic and cultural advancement of Meigs County and the Southeast Ohio region by raising funds for the construction of a state-of-the-art performing arts center. The MPAC Foundation is made up of community members with combined experience in local and professional performing arts, grant writing, theater technology and architecture. All proceeds will go to the MPAC Foundation. To learn more or make a donation, visit the MPAC Foundation online at MPACfoundation.org, or email MPACfoundation@gmail.com.